Sister Cecilia was with the Community for the celebration of her feastday. Many friends joined us for Eucharist. 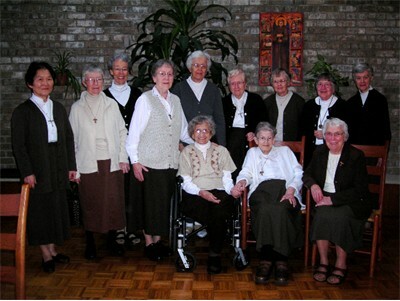 Sr. Cecilia is well known for her telephone and letter writing ministry which she continues at Catholic Eldercare where Sister resides.